The Topaz Hotel, in Bugibba St Paul’s Bay, reopened its doors on the 28th March 2014, after being taken over by new management; whilst all catering is handled on site by the popular Dolmen Hotel. The hotel was purposely closed in October 2013, in order to get spruced up and prepare itself for a busy and successful 2014. In all, some 40,000 clients were accommodated till 31st December 2014, totalling about 300,000 bed nights. The new lease of life has improved customer satisfaction and currently Tripadvisor has a 4 out of 5 rating (based on 460 reviews) for the Topaz Hotel. Installation of double glazed balcony doors for rooms over the zeta bar. Carpeting to all main corridors and refurbishment of some rooms. The painting with fresh colours of all corridors and all rooms. Three free Wi-Fi hotspots distributed around the hotel. General upgrade of public areas, including pool area. Darts, table tennis and two training bicycles have been added to the games room. Fish spa, hairdresser and massage parlour to pamper yourself. Larger room units can now comfortably sleep 4, 5 or even 6 persons. There are no longer any self-catering apartments. The Topaz Hotel has proved to be a big success over the years. 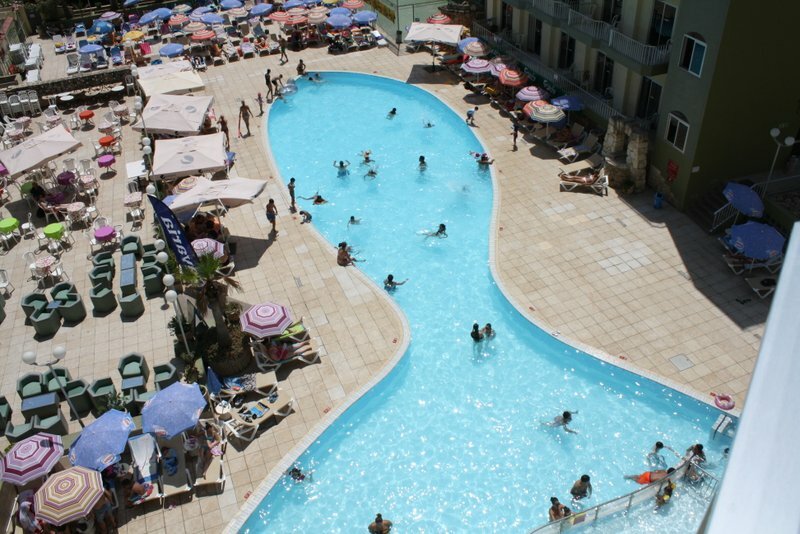 It is an ideal choice for families, couples and individuals of all ages looking for a relaxing and entertaining holiday. Located in a calmer part of St Paul’s Bay; but still within easy walking distance of the popular resort centre of Bugibba. For more information about the Topaz Hotel, click here.